Mandala offering to HH Garab Rinpoche from Ven. 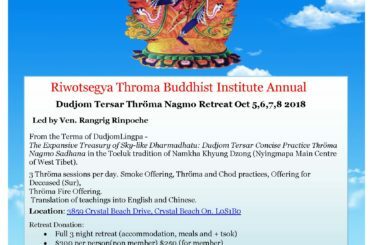 Rangrig Rinpoche from Riwotsegya Throma Buddhist Insitute-Dudjom Tersar Canada Throma Sangha. May His Holiness Long Live to Spread Throma Nagmo practice to benefit all sentient beings to attain rainbow body in life.